It’s not every day you get to see the objects you talk about in class – especially when it comes to objects made thousands of years ago! 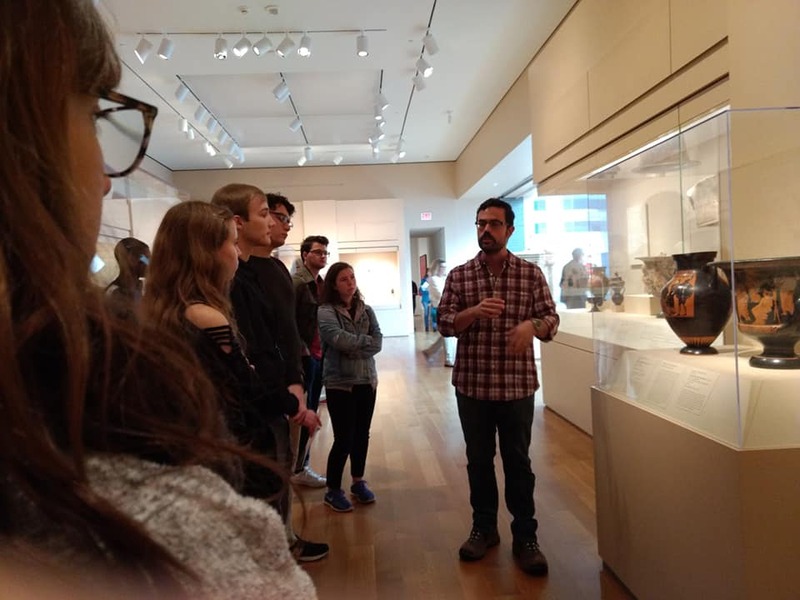 Students taking classes with William and Mary’s Classical Studies Department took a moment from their busy academic calendars to visit the Virginia Museum of Fine Arts (VMFA) in Richmond to contextualize their studies of Classical art and literature by viewing and interacting with a range of ancient artworks. The VMFA has an outstanding representative collection of ancient art ranging from Old Kingdom Egypt through the Roman Imperial period. Standouts include reliefs of victorious Egyptian pharaohs, wild-goat style vessels from Ionia, and a rare preserved portrait statue of the infamous Roman Emperor Caligula. The museum also holds an impressive array of eighteenth and nineteenth century American furniture and art, in which one can find references to a classical past that Virginians held dear from the Revolution onwards. During the day-long visit, students took guided tours of the ancient collection offered by the department’s own Drs. Andrew Ward (currently teaching Greek Archaeology and Art), and Zackary Wainer (teaching Classical Myth). 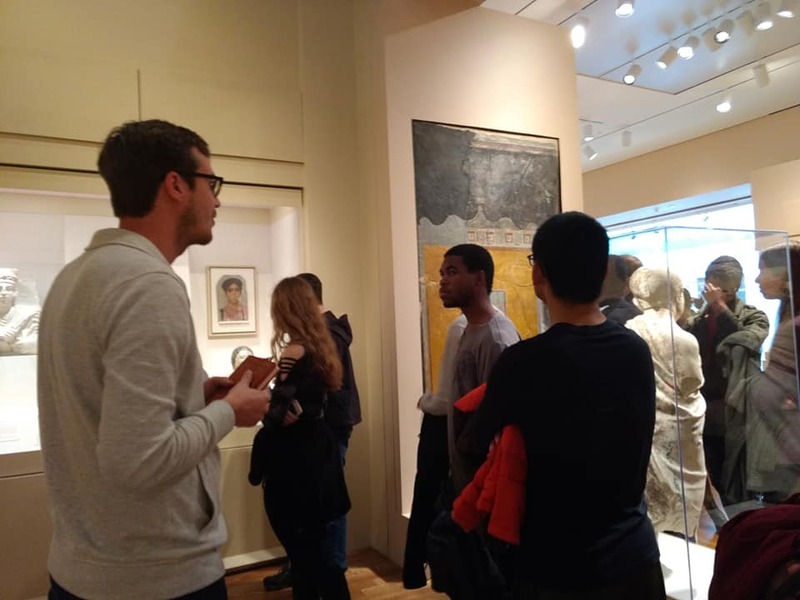 A tour of the modern collection was led by the independent scholar Michael Phillips. Trips like this are only possible thanks to the interests of our students, passion of our faculty, and the generous support of the College of Arts and Sciences’ Office of the Dean.